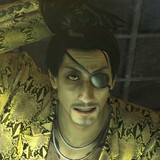 Thanks to an update on the Steam page, we now know when to expect Yakuza Kiwami's PC port. Read on for more about the unconventional reveal. Sony announced the full free games lineup that PlayStation Plus members can look forward to in November. Headlining the offerings are Bulletstorm: Full Clip Edition and Yakuza Kiwami for PS4. Read on for more. Sony's Greatest Hits line is back in the form of PlayStation Hits, which Sony just introduced this week. The line includes a varied selection of PS4 games at select retailers across the U.S. and Canada for $19.99. Read on for details. 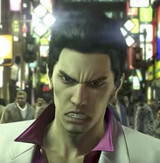 Along with the recent reveal of Hokuto ga Gotoku—a Fist of the North Star game from the Yakuza developers—Sega announced Yakuza: Kiwami 2. 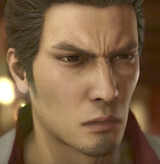 We may have just gotten the remake of the first Yakuza game in the west, but Japan is getting ready to move on to a beefed-up version of its sequel, with Kiwami 2 due out in the region on December 7. Read on for a trailer and more. Kiryu is not messing around in the new trailer for Yakuza Kiwami, a full remake of the original Yakuza game that's due out on PS4 on August 29. 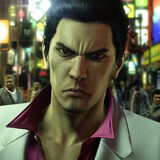 Watch as he tears up the streets with various fighting styles while taking in some of the many activities that make the Yakuza series what it is. See that pic in the thumbnail? 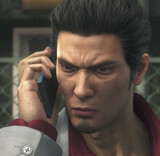 That's Kazuma Kiryu gettin' on the phone to tell you HE deserves some E3 attention, too! Sega and Atlus shared a bunch of their E3 2017 trailers today, including the latest previews for both Yakuza 6: The Song of Life and Yakuza Kiwami. Check 'em both out after the jump. We got to see how Kazuma Kiryu's story really began in Yakuza 0, and soon it will be time to revisit how the series itself began in Yakuza Kiwami. 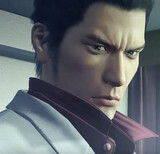 The full HD remake of the original Yakuza is coming to the west, and Sega announced an official release date of August 29. Read on for more. 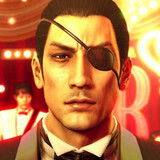 Sega finally seems to know what its doing with the Yakuza series in the west, so two more entries have been announced for localization. 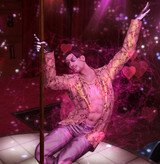 Both Yakuza Kiwami and Yakuza 6 were announced for North America and Europe, with the former coming out in summer 2017. Read on for more.